Weeehhh… This is it! Ilang kembot nalang and I will be able to see our little bundle of joy. Kilig much! Anyway, this trimester is the most difficult days for me as I feel the biggest physical changes in my body. Here are some of challenges I need to overcome as I enter third trimester. Back Pain and Sleepless Night – As I reach third trimester, I don’t have a peaceful night sleep. Why? because of my back pain. As in! Kulang nalang umiyak ako sa sakit especially when sleeping. I can’t find the right sleeping position as my baby moves every time I sleep on my left side. Mas gusto kasi nya na naka lying on my back ako parati. This is also caused by added weight and changing posture. Now, from 120 lbs, I weigh 142 lbs. Waaahhh.. and sometimes the intense dreams that can come with the last trimester of pregnancy. Huhu. Ayoko ng bad dreams please!!! 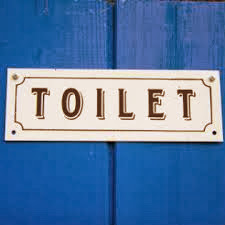 Frequent Urination – This is the most difficult and uncomfortable for me because nothing may stop the endless trips to the bathroom which causes me so tired and sleepless night. Mas mahirap lalo na pag nasa office ako, halos every 3 minuutes akong nasa CR.. According to my OB, this is normal as my baby moves further down into my pelvis. 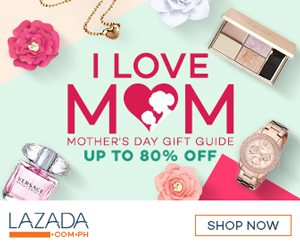 Leg and Foot Cramps – I felt these cramps during at night especially when going to bed, ang sakit nya sobra! Well, this is also common in third trimester according to my mom and my OB doctor. All I need is to move and stretch my muscles to prevent cramps. Thanks to my very supportive husband for the massage. Hehe. Constipation – On my 1st and 2nd trimester, I always make sure to “poop” every morning and happily to say that it’s so easy for me to do this thing, but as reach my third trimester, Constipation is one of my biggest problems. According to my OB, I need to make “poop” every day to prevent contractions but I can’t. Halos maubos ko na nga yung 1 buong papaya para lang makapag “poop” ako eh, but still wa epek that’s why my OB advise me drink 2 tablespoon of lactulose every day in treatment for my constipation. According to my research, this is caused by a slower moving digestive tract and displaced organs as the uterus grows larger. Shortness of Breath – This is again normal according to my OB, lahat ng buntis nakakaranas daw nito. So whenever I experience shortness of breath, all I need to do is relax, stop for a while and inhale and exhale plus I always talked to my baby. Stretch Marks and Itching – Waahhh.. Stretch marks are very common in the third trimester. Hello, obvious na talaga yung mga marks in my stomach, hips and thighs because I increases my weight and my baby is growing up so fast, so nababanat yung skin ko. I don’t use any lotions or cream before; instead, I used baby oil every night but since I have a very generous friend who just delivered a healthy baby girl last July gave me bottle of Palmers Cocoa Butter and according to her it helps prevent stretch marks because it contains cocoa butter, vitamin e, collagen, elastin and she butter which is safe for pregnant.Hhhmmm.. let me see nga kung effective. Vaginal Discharge – Another common when you’re pregnant, I also experience this when I reach 3rd trimester. At first, I was scared, baka kasi mya nag lalabor na pala ako di ko pa alam, but when I read an article that says vaginal discharge comes as a surprise to many pregnant women and it’s normal, sus nakahinga ako ng maluwag. Hehe. Anyway, the vaginal discharge that I am talking about is thin, white and odorless. Pag may ibang discharge other than that, you better go to your OB baka may something wrong, better safe than sorry. 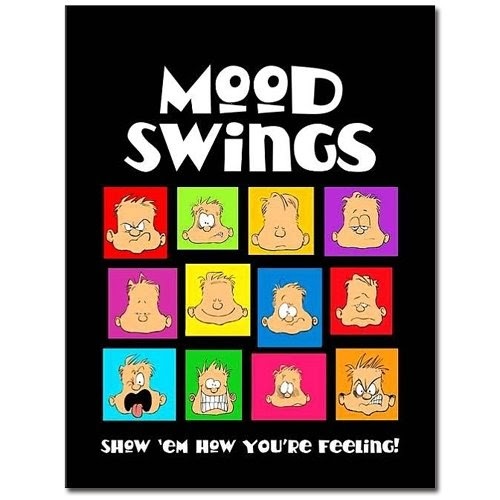 Mood Swings – Well, I think mas lalong lumala yung pagka mood swing ko when I reach this stage. At first, I can control myself but now.. gggggrrr… I guess this is due to the physical changes that happened to me and of course medyo paranoid and increased of anxiety about labor, naku po! In short anxiety attack. Waahhh.. I try to deal with this all at once but it’s so difficult, but with the help of my loving husband and very healthy/active baby, I can smile and laugh again. These conditions that I encounter can be very difficult and tiring for a pregnant woman but they are usually normal. It means that you have a healthy body and getting ready to labor. All these are worth it; I just need to focus on caring for the new little bundle of joy coming to us soon.